By contrast, with this new model we can understand how nature works its miracles of fusion and manifestation by effortlessly embedding different strengths of plasmatic fields in a frequency spectrum that also lies beyond the tangible matter state which we are used to seeing and touching. Our '5' senses will only perceive phenomena that relate to the plasmatic and matter state field strengths that our biological system is attuned to; however we do have the potential, and with varying abilities, to perceive realities that are finer than the matter state which we are accustomed to because our higher senses are in fact connected with superluminal realities. The ultimate goal for Mr Keshe is to bring us back to an understanding and knowledge of ourselves as Co-creators and Magnificent Beings, living and expressing Life in it's full unbridled glory - just we have been made so 'busy' that we have forgotten. To this end the technologies or projects that he is encouraging us to explore at the beginning he calls distractions or hooks with which to get us interested, because we are so used to regarding life and its processes as external and needing tools with which to modify it. By making the GANS and nano coating plates and experiencing the related plasmatic field interactions, we see and feel how they express and affect the processes of life, and how these same processes manifest and work through ourselves. Eventually we will learn that we are already plugged into the Big Picture, and are able to steer it's fundamental fields from a realm that exists beyond this dimension and light speed, since they are all embedded within us. 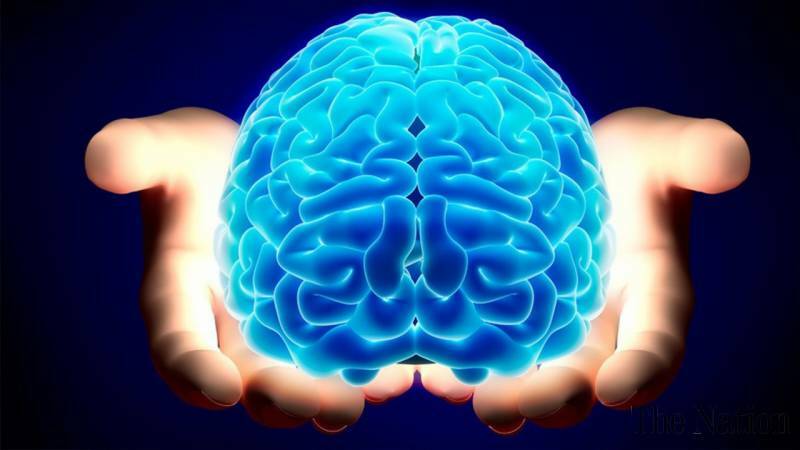 If we are able to align and focus the two hemispheres of our brain we can perfectly embed the rational/ordering/conjugating/centripetal/healing (gravitational) fields with the feeling/sensing/expressive/centrifugal (magnetical) fields within our dynamic being, and steer these 2 charges to manifest conditions in accord with our deepest wishes. Any thought connects things in this way, its degree of effectiveness depending on the degree of coherence in it's wave forms. A cloud of plasma/charge builds when human intention converges. ​Eventually we will learn how we CAN control the fields of Life that can bring internal healing, or facilitate the healing and growth of things around us. We will also self-realise nourishment, warmth, even shelter, and the ability to travel within space-time, through these plasmatic magnetic-gravitational fields. If indeed we are made in the Image of God or the Living Force, this must all be true, and the Masters and Messengers of all ages have been trying to remind us! The Universal Plasma that is being referred to by Mr Keshe in this emerging model can in it's principal state be called un-manifest di-electric inertia or Fundamental Ether - or Principal Light. 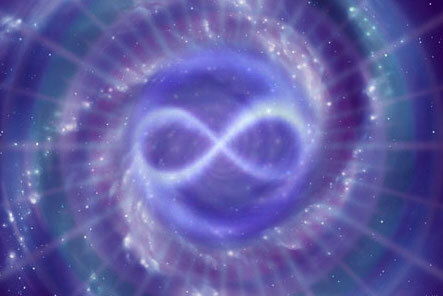 A universal field of pure potential, waiting to be imprinted. We often hear Matter referred to as condensed light, and this is affirmed by this model. Magnetism and Gravity are the effects of the expansion or contraction of this potential or inertia, an observable interaction that results in radiating fields (magnetic) or convergent fields (gravitational). One cannot exist without the other, 20C physics still contends a single gravitational field that fills 'space'. These variations in density of the primary field manifest and actualise it into distinct fields, in magnitude and polarity, thus creating the effects of force and motion. It is this mediation of field density that creates spacial and counterspacial (repulsion and attraction) phenomena through all levels of creation. Principal Matter (anti-matter), the source of all matters, also Principal Light. Principal Magnetic Fields, are several hundreds of times stronger than the magnetic fields that make up tangible and visible matters. 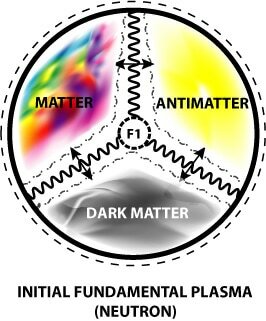 Transition Matter (dark matter), plasmatic magnetic fields that are in a transition state from Principal matter to Tangible matter. Transition Energy (dark energy), the plasmatic magnetic fields in motion from Principal matter field strength to Tangible matter field strength. 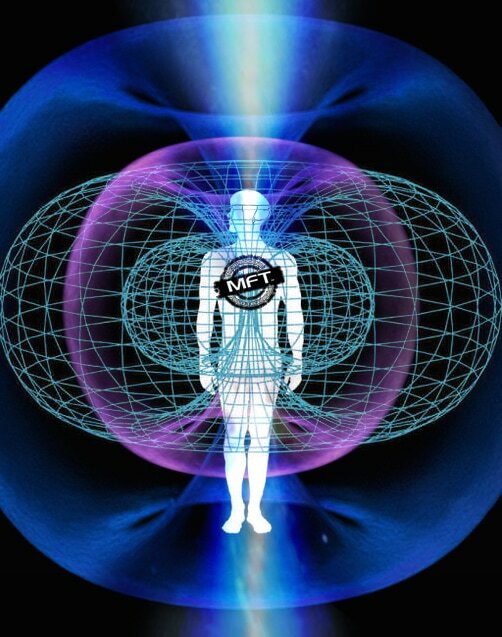 Energy is magnetic and plasmatic fields in motion. 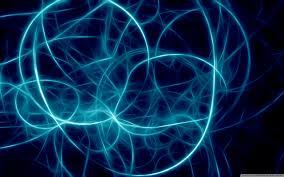 Transition Magnetic fields: are in transit from Principal to Tangible matter magnetic strength levels. Matter: physical matter state in our field strength environment. Matter magnetic fields. 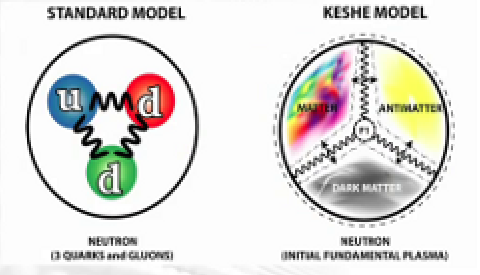 In his book (there are 3), The Universal Order of Creation of Matters, Mr Keshe explains the principles of gravity, and how these principles also apply to the interaction inside the neutron between Principal Matter (anti-matter), Transition Matter (dark matter) and Matter. According to him, the neutron is also mainly composed of these three fundamental Matters. Hitherto, it was assumed that the neutron was composed of three quarks, one up and two down. According to Keshe, tiny magnetic fields are the real fundamental particles originating from a cosmic magnetic soup or Ether. Fields of similar strength can entangle in a dynamic pack. Three packs with different strengths make the three basic type of Matter (as above), and they can interlock to make the initial fundamental Plasma or Neutron. This neutron can decay into a plasma of a proton and a plasma of an electron, and both still contain parts of the Matter Trinity of the original plasma. They each have an individual, and together an overall, magnetospheric condition which is ruled by magnetic and gravitational field strengths. This is similar to the inward Gravitational and outward Magnetical fields of Earth. Based on these new first principles, prototype reactors were allegedly built, with amazing results, like creating lift and motion without burning fuel, and achieving fusion in a simple way. Now it becomes possible to create, at any point-of-demand, in an affordable way, vast amounts of energies (like electricity and heat) and motion, and matters like water, food and new materials, and to develop new space technology. "By creating and using a magnetic field strength higher than the magnetic and gravitational (magrav) field strength of an entity (atom, ray ...) one can create conditions which cause the Fusion of atoms, plasmas, rays etc. without creating heat or needing to collide particles to force fusion. In the principal magnetic field state of Matter, matter operates more as a Gans (gas in a nano solid state) than a gas/liquid/solid state, and with the Gans of matter (see other Articles) the magnetic field strengths of the environment define the appearance of an Element in a given condition, and in all cases the tangibility of matter is the consequence of these conditions. The Gans of matter can take on all lattice structure combinations of the elements, whereas, for the purely Matter state of one Element to be converted to another, sources of high heat and pressure are needed. In the Universe almost all conversion of lattices is done through the Gans of matter and not the atom of matter." Witness all the silent and powerful dynamics in operation throughout nature, without any explosive efforts. ​It is perhaps useful at this stage to distinguish Mr Keshe's plasma from that of 'science' by referring to it as Field Plasma. Bio-fields and bio-plasmas have also been referred to for over a century by pioneering investigators (and felt and seen forever by sensitive folk), and they would seem to relate to part of the spectrum of fundamental fields from which our various bodies eventually materialise (like a Russian doll). We have our matter state body, then etheric body, still within this 3rd dimension, and on to our astral body and further, in quantum leaps of frequency, velocity, and field strength. ​How is the Field Plasma of this New Physics related to the life force that Mr Kirlian was able to record, or for example the bio-energies perceived by Harry Oldfield's NEV photography, which he uses to diagnose dis-ease before it reaches matter state ? Mr Oldfield describes a universal ordering matrix that provides the invisible scaffold off which matter state atoms and molecules are hung. The Kirlian technique makes the bio-field visible with a high voltage charge which creates high electric pressure. 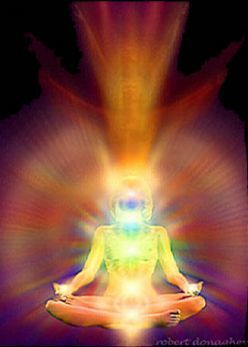 Our aura is a weak high frequency cold plasma field, and is energy and information dense. There is a high voltage bias under the Kirlian glass plate. Your aura directs the HV and steers the direction of the discharge, giving information as it reaches the plate. 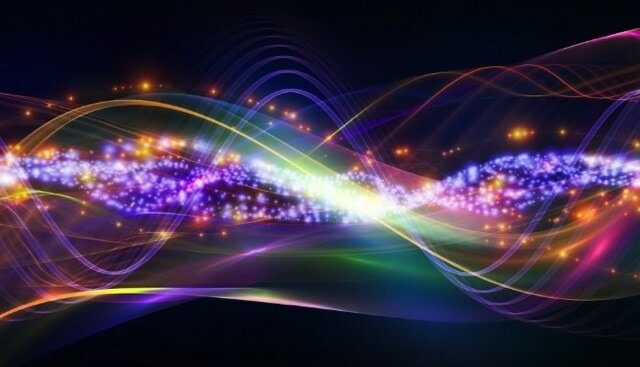 The Kirlian bio-field is just one part of the total spectrum of the fundamental field plasma that Mr Keshe speaks about.​ Our chakra system can be understood as Magrav vortexes that implode higher frequency fields, creating a bridge between our matter state and higher bodies. Dan Winter is a perpetually ingenious scientist and teacher, and understands and works with the same field plasma concept as Mr Keshe, but refers to it as Cold Plasma. I feel he explains the nature of this plasma really clearly, bringing a better understanding of so many subjects that have hitherto evaded 'scientific' explanation. He explains, with a joy in unifying this new science with the unseen worlds, how these cold plasmas bring healing/re-balancing, explain telepathy, ghosts, psychokinesis, distant healing, mental weather modification, infinite energy and many things. The physics is beautiful and lyrical in fact, all related to sacred geometry that expresses or embodies the interaction and motion of these 'magrav' fields, resulting in the implosion of charge to bring structure and order to life systems ... The following article, Part 2, is a transcript adapted from one of Dan Winter's YouTube teachings.